Western Avenue is a series of residential units, across multiple sites, along the A40 in Ealing. Biscoe + Stanton Architects were appointed by contractor Durkan Ltd to carry out the detailed design and construction information for this development from an original BPTW Partnership planning consent. 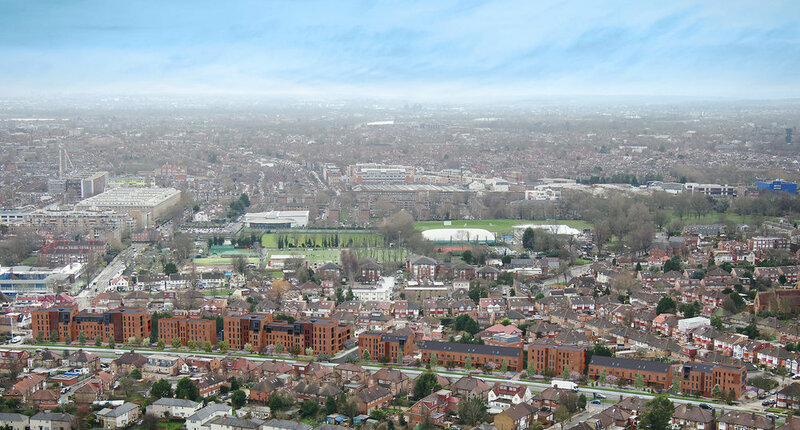 The development consists of 180 flats and houses over 5 sites for rental, shared ownership and private market sale for developer Notting Hill Housing. The development will also provide 128sqm of retail space. Construction commenced in June 2017 with completion anticipated in March 2019. *project images courtesy of VMI Studios.